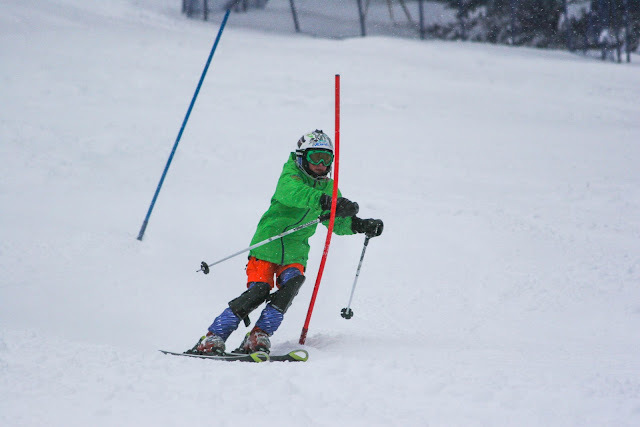 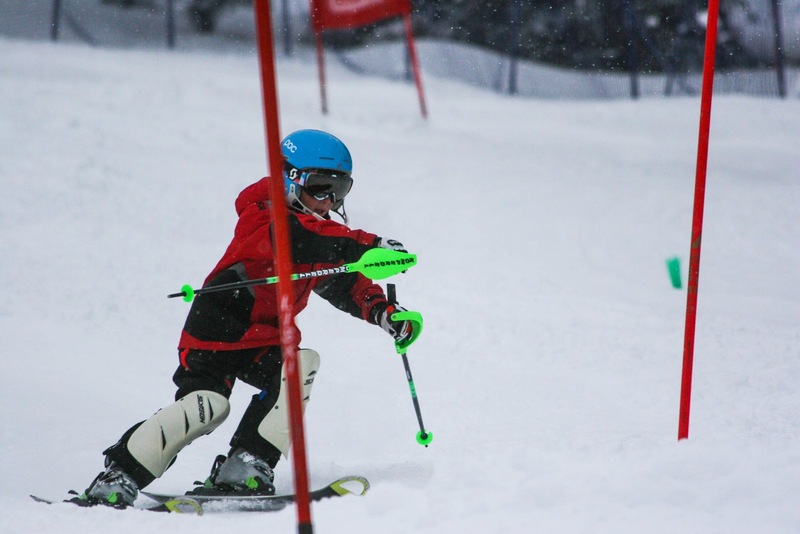 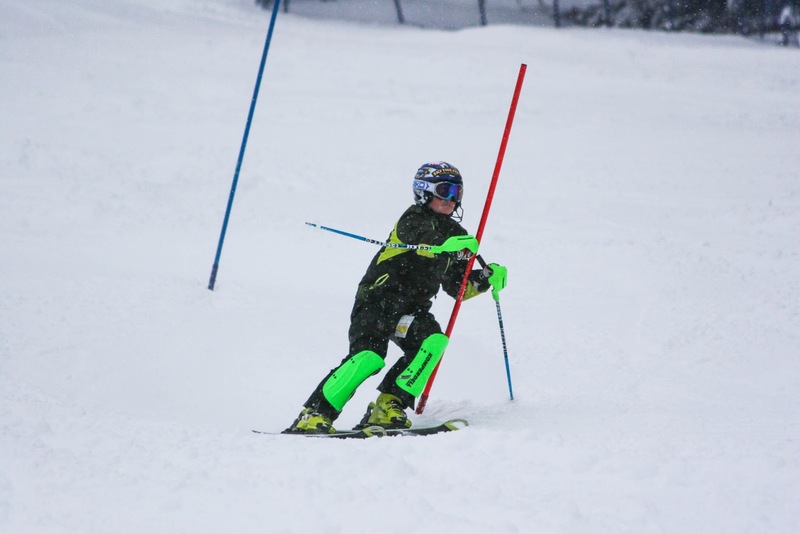 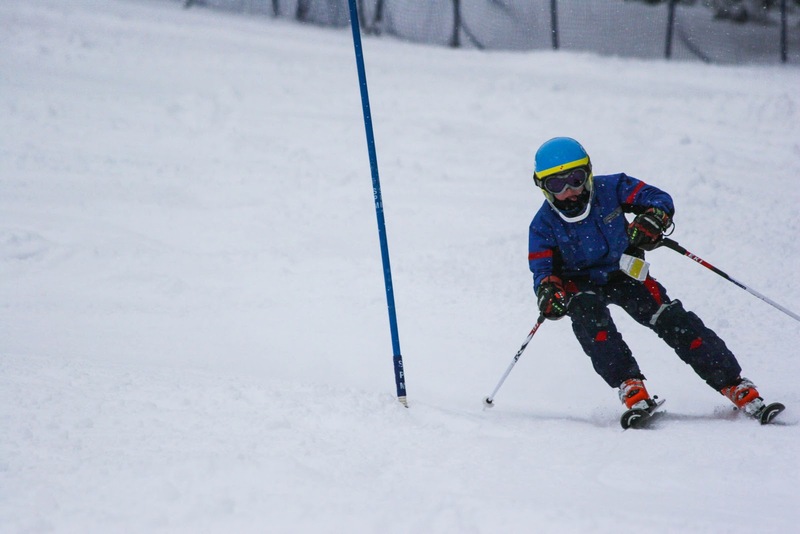 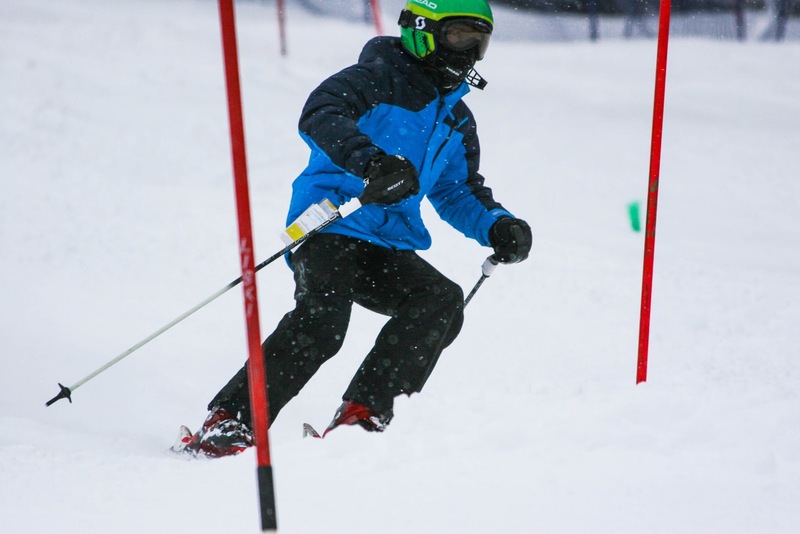 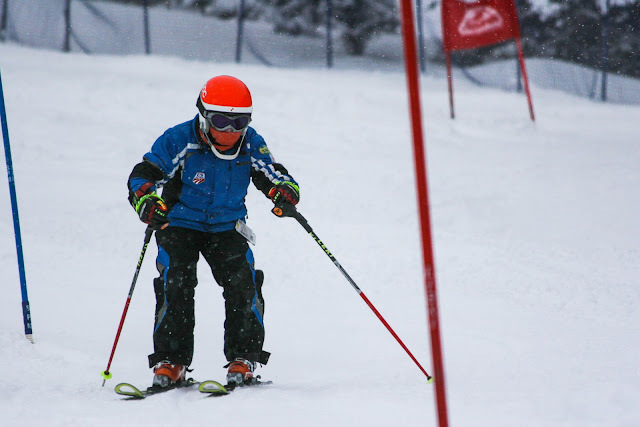 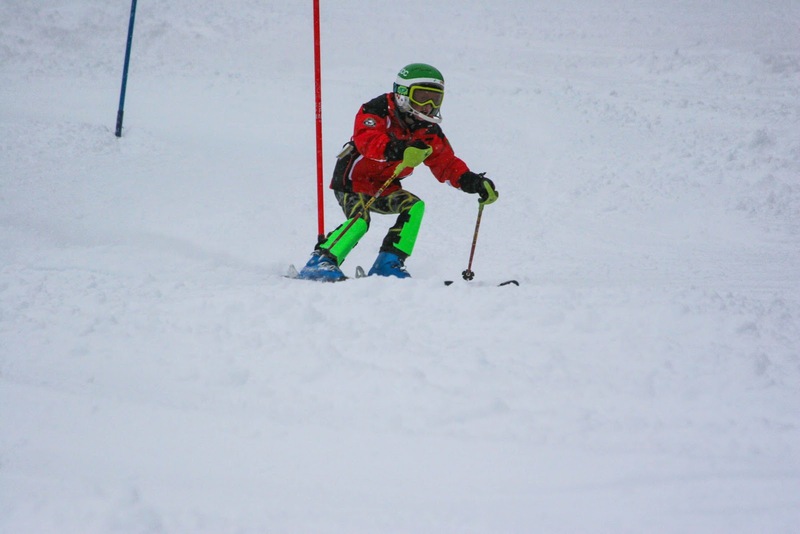 After three days of focused slalom training, every athlete can be confident in knowing that they improved. The day was a great note to end the slalom portion of this camp. 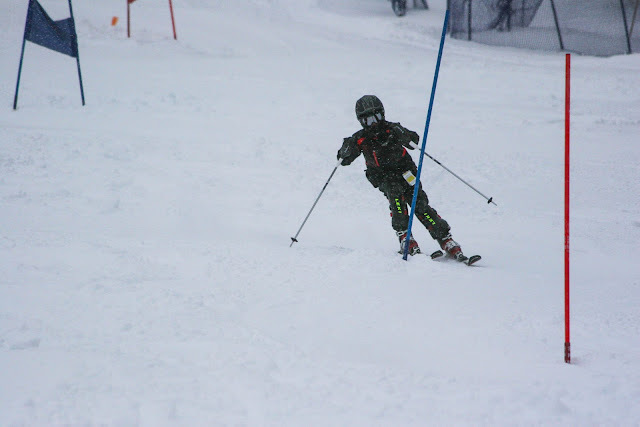 After clearing the three or so inches that fell last night out of the course, both groups made quality laps all morning and afternoon. 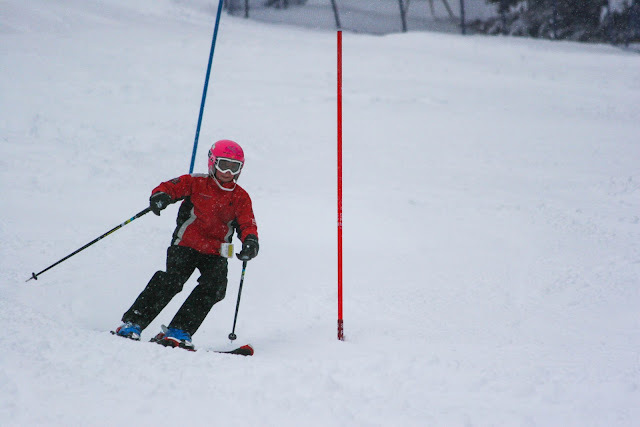 Today's slalom course had a more difficult set than yesterday, with much more offset, fall away turns, and a couple rhythm changes. Once again, Richard Kramer was on hill taking video and pictures through the falling snow.